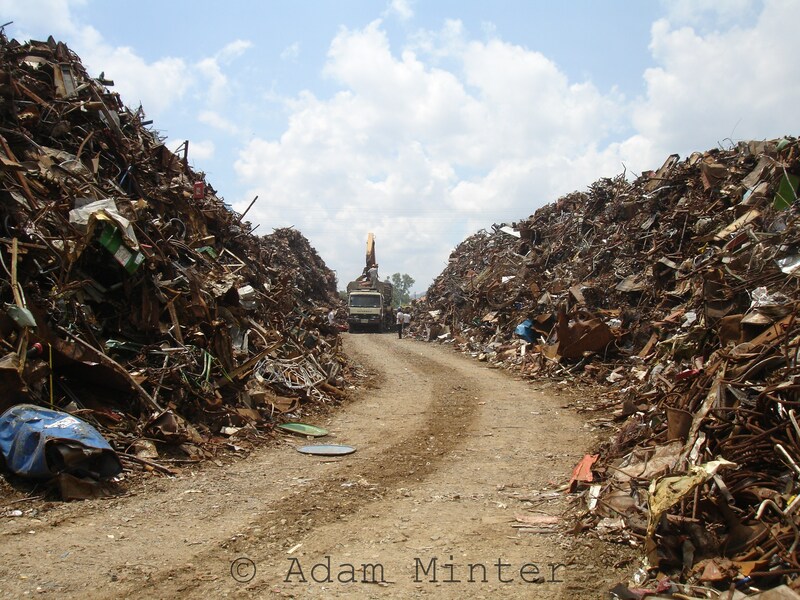 A 2007 image of Vietnamese scrap metal piling up outside one of the country’s most advanced mills for melting it, near Saigon. At the time, Vietnam tossed out roughly 500,000 metric tons per year of scrap steel; by comparison, the United States tossed out perhaps 80 million metric tons of the same material (over 150 times more than Vietnam). Population, wealth, and – above all – the 10 – 14 million automobiles Americans scrap every year account for most of the difference. So, even though this scrap canyon might seem singular (and it was, at the time, for Vietnam), there are dozens of similar American versions.